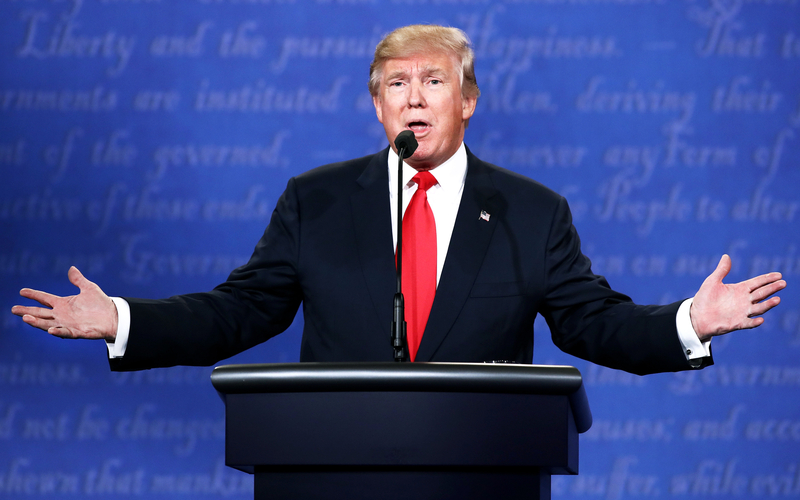 Millions of people across the United States are still reeling from Donald Trump&apos;s upset victory on Tuesday, November 8, and now, that ire is being turned toward New Balance shoes. Why? Because according to Sara Germano, a reporter for the Wall Street Journal, the athletic brand&apos;s VP of public affairs, Matt LeBretton, said this about Trump&apos;s upcoming presidency: "The Obama admin turned a deaf ear to us & frankly w/ Pres-Elect Trump we feel things are going to move in the right direction" (via Germano&apos;s Twitter). Of course, such a statement isn&apos;t terribly surprising, as LeBretton has openly lamented President Barack Obama&apos;s support of the Trans-Pacific Partnership. The TPP lowers taxes for companies that manufacture its products outside the United States. As New Balance is an American-based athletic brand — its headquarters are in Boston, and all of its factories are in the New England area — the agreement puts the brand at a disadvantage. Nevertheless, the internet (namely supporters of Hillary Clinton) responded swiftly, calling New Balance "cancelled." Customers who previously bought from the label responded to the original tweet with photos and videos that showed them dumping their sneakers in the trash, if not setting them aflame.